We would love for you to join us in worship and Bible study on Sundays at the Hatton Baptist Church. 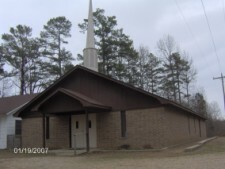 Hatton Baptist church is a smaller church with a big heart, good fellowship, and compassion for people. You will find the presence of God and answers for many of life’s issues in our church. We are located at 100 Polk County 268 in Hatton, AR. Physical Address: 100 Polk County 268 in Hatton, AR. Directions to the church: Turn east (right from DeQueen, left from Mena) from Hwy. 71 onto Polk County 268, go ½ mile (1/4 mile past RR tracks). The church is located on the left.